Numbers… it’s what DT is all about. Price changes; averages; break-evens… the list goes on. This week carried an extra ounce of bad luck, if only because the round started on Friday 13th. Fortunately for the Blues, they saw none of it as they began R3 in blistering fashion. However several massive injuries later; and the positivity from that win has lessened significantly as the gods inflicted the carnage that we received in the days following. Were you affected by said carnage? How did you fare this round? 0 – Number of people who care about the ongoing ‘saga’ that is the Malthouse/ McGuire ‘feud’. Raucous tweets and annoyed radio comments continue to flay on the topic, however none of it is helping Collingwood at the moment as they adjust to new coach Nathan Buckley’s plan. Whilst there is a lot of opinion on the matter, the reality is that Collingwood forced out a Premiership Coach and have chosen Buckley to take the team forward. Whether the Pies’ recent failures are a result of this is open to speculation; however none of it matters – what is done, is done. So get over it and move. 2 – Teams on the brink of ‘end-of-an-era’ status. Both Geelong and Collingwood recorded big losses on the weekend – the second time in 2012 for this to happen. With 6 Grand Final appearances between them in the past 5 years, including 4 Premierships; both sides have dominated the AFL in this modern era. However after both recording poor starts to the season, sitting on only 4 points each after 3 rounds – are their respective reigns over? 3 – Amount of 100+ scores that have been scored against Essendon this year (as stated by tBetta). Admittedly they have only played North and Port, however this definitely bodes well for the Bombers, who’ve shown they don’t like giving up the footy; and are restricting their opposition to inferior numbers during their clashes. One such exception though is the much talked about Gary Jnr; however was the only one to do so for the Suns. 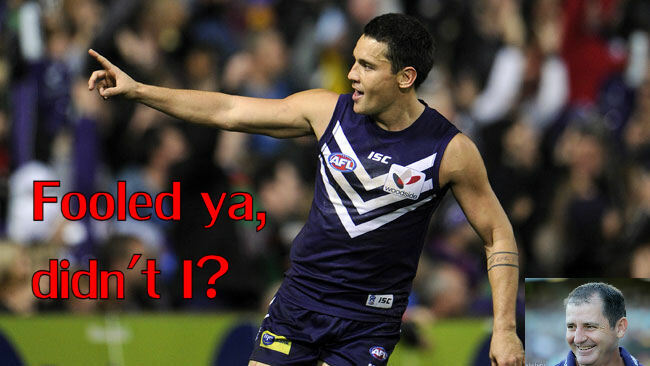 13 – Goals scored in the Freo v Brisbane game on Saturday. In an extremely low scoring game, Brisbane could only muster 5 goals; whilst Freo had just 8 of their own, also kicking an astonishing 16 behinds. In other games, Western Bulldogs could only managed 5.10.40 against a tight St Kilda defence. It’s no surprise to see that the two winning teams in both cases are or were coached by Ross Lyon. He truly is the king of boring football. 15 – Possessions by Scott Pendlebury v Carlton on Friday night. In his lowest personal tally in any game since the end of 2009, midfielder Andrew Carrazzo did one of the best negating roles in recent history to keep the star Magpie to just 62 points. It was justified then, that Carrazzo was rated best afield in a big win by the Blues. 22 – Points scored by Fremantle young gun Nat Fyfe on the weekend before being crunched in between two Lions and reinjuring his dodgy shoulder. Not only has he now dropped $36k, but he is facing up to 3 months on the sidelines as Fremantle weigh up putting the star midfielder under the knife again. If you’re one of the 104,000 coaches who have him, now would be a good time to look at replacements. 28 – Disposals by Giant’s youngster Dylan Shiel v West Coast on Sunday. In his best game yet, Shiel displayed his hallmark ability to find the ball and dispose of it cleanly. Whilst he only returned 74 points, his performance was very encouraging as he is starting to show why he has been touted as ‘the next Chris Judd’. He just needs to lift his work rate off the ball (only had 1 mark and 1 tackle), and he will cement a spot as M6 in many teams (until he’s upgraded for a premium, that is). 82 – Big thanks to @RLGriffin85 for this one – Points differential between choosing Morris, Kennedy and Greene on the field this weekend over Bugg, D. Smith and Coniglio. As Chook will attest, rookie choices can make or break teams. This week for example – that could’ve been the difference between Top 2,000 and 10,000! 127 – Total disposals to date in 2012 by the little master himself, Mr. Gary Ablett Jnr – officially becoming the first player on record (since Champion Data stats were recorded) to start the season with 3 consecutive 40+ disposal games. One of the few ‘Untaggables’, Gary is absolutely unstoppable and is working hard to give his famous father a run for his money as the best ever. Surely he can now be considered as the undisputed best player of the modern era? 68,488 – Amount of Brian Lake owners frustrated by his actions of the weekend. In a moment described as a ‘brain fade’ by the Bulldogs, Lake carelessly struck St Kilda player, Simpkin in a move that is likely to see him miss 1-3 matches through suspension. 2012 seems to be a case of ‘Fool me once, shame on me; fool me twice, shame on you’ with Lake. First he scores a lowly 29, backed up by a positive 93; then he gets a respectful 74, only to ruin this with his pending suspension. For those that still have him – Take the $11k he’s made and get him out! It was a dire round in DT this week so instead of mentioning the top weekly scorer I’m going to look at the overall #1 coach 3 rounds in. With a weekly average of 2232, Goaldon Boots coach, Don appears at the top of the Leaderboard after his solid R3 effort of 2154 was enough to push him to the top. Another who started with 4 x R13 Bye Premiums in the backline, His quartet of Goddard, Deledio, Carrazzo and Birchall give him a solid standing, whilst Bugg and Hargrave have been serviceable for him as D5 and D6. He has the best of the best in the midfield, with Ablett, Boyd, Mitchell, Watson and Pendlebury giving him a great platform for success. His risky ruck combo of Kreuzer and 3 rookies appears to be paying off at this stage; as is his decision to start with Hawthorn young gun Whitecross over Buddy. His structure is great and he’s picked a great team. However he may need to trade out a premium back during the byes to stay with the pack and avoid several backline donuts. It would be remiss of me to not mention the amazing feat of Gary Ablett this round. After getting the nod in R2, he backed up with another outstanding performance worthy of 3 Brownlow votes. His 44 touches and 2 goals once against displayed his dominance at Metricon Stadium with a whopping 162 points. 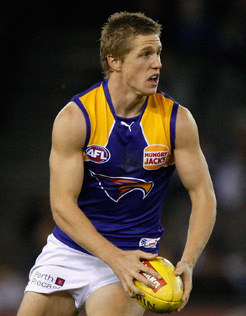 However this week’s WotW award goes to West Coast rising star, Scott Selwood. In a dominating display against AFL easy-beats GWS, Selwood was superb – totalling 31 touches, 10 marks, 9 tackles and 1.2 goals. His 150 points shows that he has the capacity to match the elite – and with his 3-Round average of 126.33, he currently sits at # 3 overall this year. In the absence of Priddis, he is turning into a true premium midfielder. This is the player who has attracted the largest attention (or close to) and subsequent selection in people’s teams around the grounds in any given week. This week we have a new hero in Brendan Whitecross. Mentioned as one of my ‘Uniques’ earlier this year, Whitey has exploded in 2012, averaging a 111.7 over the first 3 rounds and already rising $34,200. Already being traded into a further 1.1% of teams (as of Monday morning), his stocks are sure to rise over the next week and should see him owned by many more than the 2.8% of coaches who currently have him. He’s relishing a role in the Hawks midfield; and could emerge as one of the best buys of the season – but are you game enough to jump on? Based on a simple Dollars/Points ratio, I give you a simple way to display value (admittedly biased towards rookies given their low starting cost). This week my pick is more unique. Saints defender Tom Simpkin played only his 2nd game for the year on the weekend for a great return of 106 points to be the best of the sub-$200k players. His $197,900 price tag gives him a weekly value of $1866.98/pt and is on the all-important bubble. Set to rise about $40k next week, he could be a good point of difference in your backline. It has been talked about all weekend; and this kind of thing will become a regular in the Numbers pending positive feedback. This week’s (Worst) Trade of the week goes to the poor coaches who ditched the frustrating Greg Broughton for running Essendon midfielder/defender, Courtenay Dempsey. Set to lose $30k after his role change dictated a constant flow of scores in the 60’s; many jumped on the in-form mid-pricer in what seemed like a solid trade on paper. With Dempsey going down with a hamstring injury on Saturday for a paltry return of 10; and Broughton subsequently returning to midfield form recording a positive 109, this will be a decision coaches could rue all year. On a brighter note, word is that Dempsey’s injury may not be too bad and could play as early as this weekend against rival Carlton. Highlights – Good to see my unique players, Gibbsy and Robbo performing to their potential against the Pies; Ablett once again dominating (as my captain) against a shaky Bombers outfit; Buddy, Broughton and Rocky bouncing back to form; and my Blues going 3/3 after finally beating Collingwood (in style) in an outstanding performance on Friday night. Lowlights – Nat Fyfe going off after his shoulder popped out; Pendles being tagged out the game for 62 was a coach killer; and the Magnet failing to back up his first 2 weeks, recording a lowly 48 (I guess he can’t do it all himself). Also, injuries to Ball, Leuenberger and Birchall; as well as poor performances by several Cats – made R3 a week to forget for many. Team McRath – Was a much better performance, netting me a solid 2071 during a bad week of DT. Fyfe’s injury gutted me, whilst Pendles and Magner let me down personally after big R2 scores. Good to see most of my premiums firing together – we’re starting to show signs of what we can do. When all the boys are on the same wavelength, watch out. I’m likely to trade in Danger or Whitecross this Friday to come in for Fyfe – otherwise Team McRath will go into next week’s matchups largely unchanged. Also happy with getting a win in all of our leagues, good times ahead. Round 3 was another week of ups and downs, with LTI’s striking; and emerging stars Howe and Whitecross firing. Looking forward to a better week in which I can hopefully finally break my first 2200 for the year. As always, be frugal with your trades and keep your head up – a week is a long time in Dream Team! Also, look out for my ‘Greatest Dream Team of All’ article in the next 24 hours – and see who’s made the grade in R3. To all those with concerns about Fyfe and Martin, keep Dusty, trade Fyfe, simple. I myself had neither (went for Buddy and Goodes as Fwd premos) and am feeling quite fortunate and looking forward to trading in Martin once his form picks up which it inevitably will. As for Fyfe, if you can do a DPP trade for Barlow then now is your chance. Don’t get me wrong, Whitecross and Robbo look just as good for a potential sideswap (or sideways and down a little), but Barlow has crept under most DTer’s radars because of his time in the green vest. With Mundy in and Fyfe most-likely out, I seriously can’t see Barlow copping the green vest again (or the red one for that matter). His breakeven of 91 is well within his reach based on his past results and even his current mins/points ratio for 2012. Another thing I noticed about him is that even with Mundy coming back for the dockers, Barlow seemed to be the tap-down target for Sandilands (don’t believe me? rewatch the game from after Fyfe was subbed out), this is sure to get him good points. Once again I stress that Whitecross and Robbo are easily as acceptable as a trade and that there is the element of risk associated with Barlow’s leg, but it isn’t an injury that will keep happening over and over like poor Fyfe’s, there’s just a heightened probability of it happening. I have Barlow locked in and ready to go for round 4. Good luck to all of those that choose any of the three I mentioned here to replace Fyfe and also for those that keep Martin despite his recent performances, hopefully round 4 brings good fortune your way! How many weeks can we ride out shocking form? I’m thinking another sub 80 score this week and hello Scooter or Murphy or anyone really with 500K in the bank. If I didn’t have Ablett I would give my left testicle to get him in! Fyfe to either Ebert, S. Selwood or Cotchin. All look the goods. Been reading a lot of Barlow talk as well. Seems like a decent option I guess. I’m thinking I will keep Fyfe if he doesn’t require immediate surgery. If he scores crap next game and loses $70k or so that’s not great, but it’s not worth the cost of a valuable trade that can be used later in the season. Come round 20-24 when gun players are getting rested due to the ‘general’ soreness issue we see each year I want as many trades available to me as possible, and hey I already know I won’t win the car this year, just going for league wins. If he does require surgery, then I may bench him for a week to look deeper at Stevie J, Chappy 2 happy, Dangermouse or Ziebs. Does anyone have any news on Birchall’s injury? Reported as a kick to the calf & being vested just a precautionary measure due to the Hawks dominant position in the game. He is not listed as injured on the Hawks website (list updated 17/04/12). Thompson vs GWS this week then Port the next. Then again it is GAJ. Splendid article McRath. 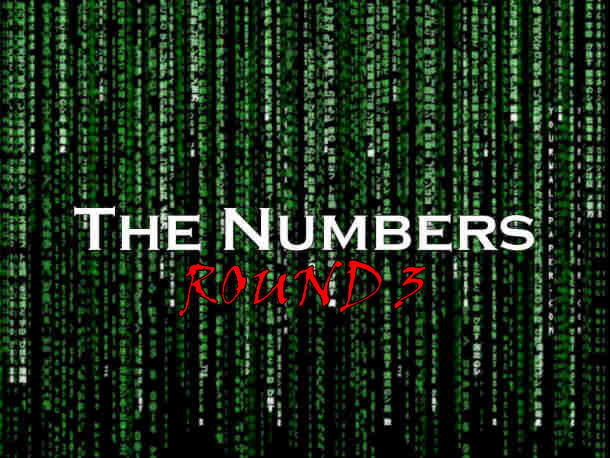 One more for you…3638 = the numbers needed to hit on your phone to text ‘FMDT’ to your mate! coniglio or magnet to start? Does anyone know how much Brendan Whitecross is going to go up in price this week, presuming he keeps up his average. Goodes, out for a week and not scoring so well. Contemplating flicking him out and bringing him back in as an upgrade post bye. Dont Trade Thompson! Why trade a performing Premium. Sure he had a down game last week, but he has scores of 135, 109 and 57 (still with 25 disposals). He plays GWS this week and as good as Ablett is, Thompson will definately make you regret trading him this week! Fyfe to Whitecross is gonna be fairly common. If you think he can keep his form up then its a decent idea. But don’t trade Thompson! If you take away last week, he’s got a great average. The whole Crows team did pooly last week, but they don’t play Hawthorn every week. there will now be no more comments about fyfe for who??? ?